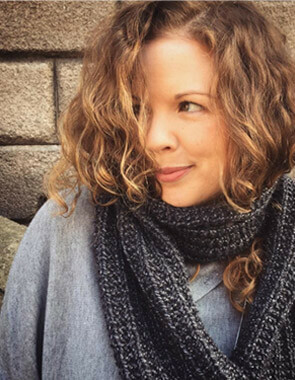 Liz Spillane is a Knitting Instructor and textile artist operating from her home in Kenmare. 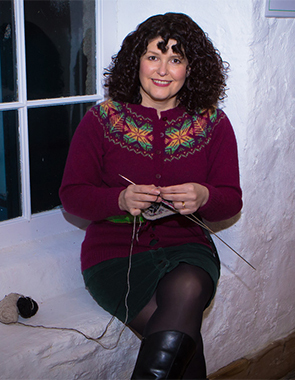 She is passionate about sharing her knowledge and experience and promoting knitting. 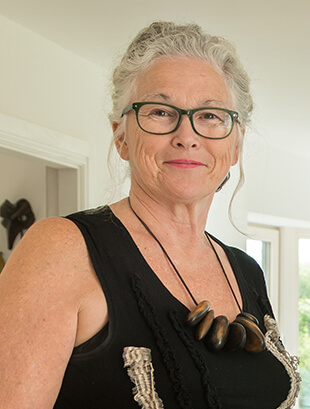 Liz graduated from the National College of Art & Design in Fashion & Textiles in 1978 and worked as a commercial freelance fashion knitwear designer up to 2000. 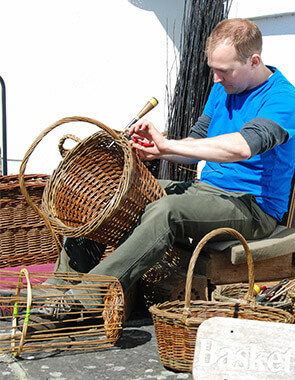 Much of this work was in the hand knitting area for one of Ireland’s largest spinners, designing and plotting hand knitting patters for publication and she also worked with several Irish knitwear manufacturers. 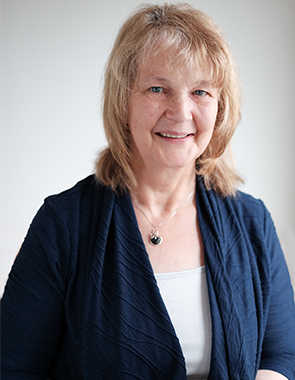 Liz has always been passionate about promoting knitted textiles and has been involved in many feasibility studies and research projects during her career. 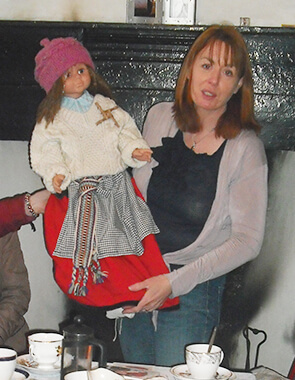 She is a founder member of CTN Cork Textiles Network. 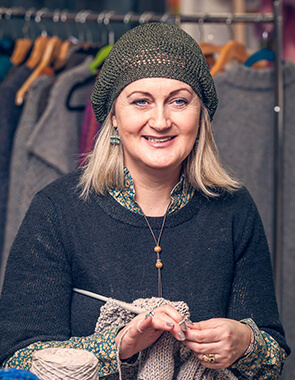 Liz has also had the experience of running her own, award winning, knitwear design and manufacturing business for several years and subsequently managed a post graduate programme in Knitwear Design & Technology and Enterprise Development (EPP Enterprise Platform Programme) at the L.I.T. Limerick Institute of Technology, Limerick School of Art & Design (LSAD) for a number of years. 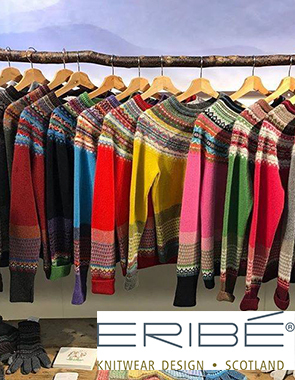 Attending Pitti Filati in Florence, one of the largest International yarn fairs, to research yarns and trends is also an important item on Liz’s calendar. 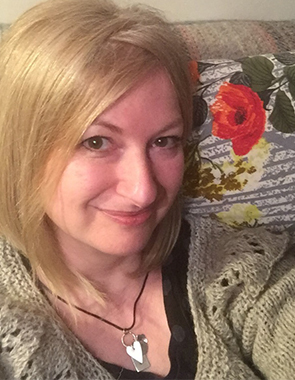 She has always been involved in education, on a part time basis and more recently she has been knit tutor in the Fashion Dept. 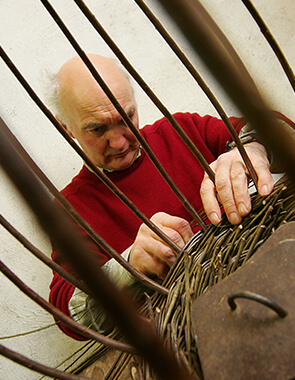 at the Limerick Institute of Technology, School of Art & Design LSAD for over 10 yrs. 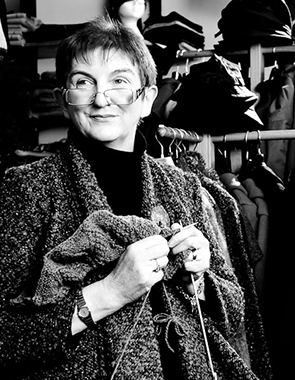 but she currently teaching in the new BA Fashion Knitwear & Textiles course which she was involved in establishing. 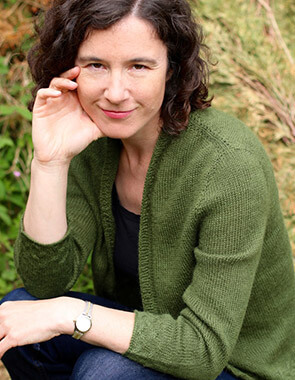 Liz’s current work is experimental and directed more towards ‘fine art’ textile. 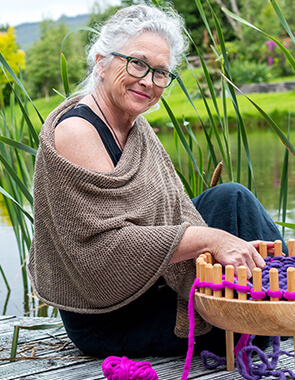 Using mainly 100% wool fibres and yarns and incorporating other techniques such as felt making and shibori has allowed her to develop a unique series of work. 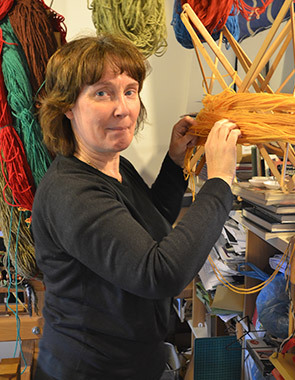 Her aim is to develop and grow her own body of work in the ‘Textile Art’ area, using Knitting as her main construction technique. 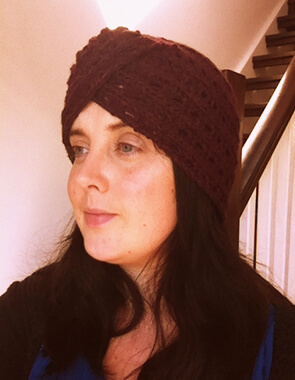 Liz is also passionate about sharing her knowledge and experience and promoting knitting. 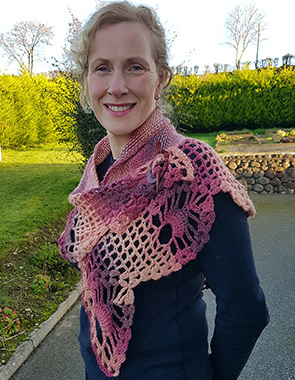 She has recently developed very successful ‘interactive knitting’ experience with the public in the Feature Area at recent Knitting & Stitching shows in the RDS in Dublin and elsewhere. 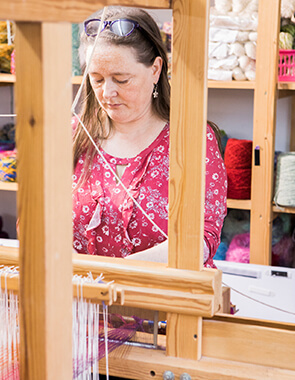 Liz is also developing a series of varied textile workshops in her studio at Gortnabinny, drawing again from her vast experience and knowledge in this area of knitted textiles. 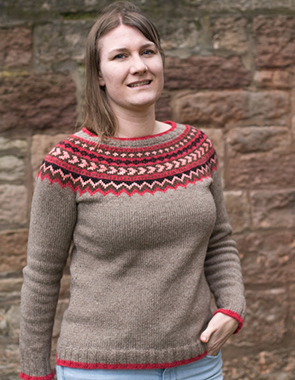 Knitting and knitwear design has been my life’s work and I am passionate about sharing my experiences and skills. 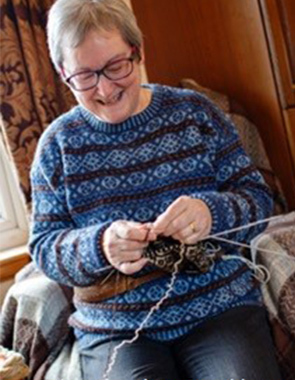 Working with KnittingTours.com has allowed me to fulfil this passion with fellow knitters from all over the world. 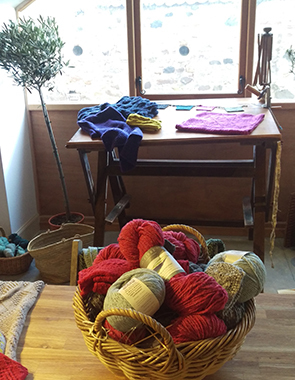 It is especially rewarding that KnittingTours com brings you to my studio for the workshops so that we are surrounded by all that inspires me and that will hopefully inspire you also, in your knitting pursuits.